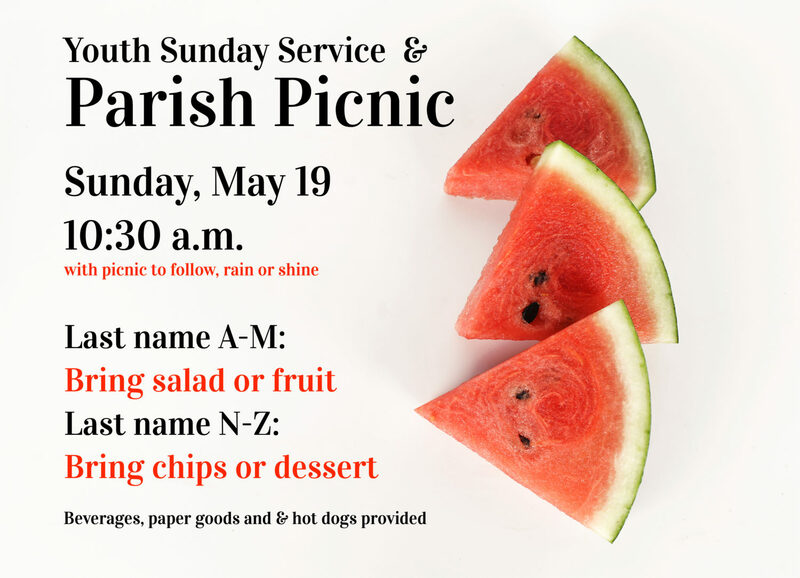 The annual Parish Picnic kicks off after the 10:30 service on Sunday, May 19, rain or shine! Join us for food, fellowship and games. Beverages and hot dogs are provided; if you’re able, please bring fruit, salad, chips or dessert to share. All are welcome.